Hi friends and really Sorry for the delay. Its been a long time since I posted my first part of Amazing Road Trips through Greece. In that part, I described the road trip from Athens to Meteora through Delphi, a perfect itinerary to see the monasteries of Meteora and some historic monuments in Delphi. If you have not read it yet, you can read it here. I have explained a complete road trip itinerary from Athens to Meteora via Delphi. Continuing our journey ahead, in this part I will be taking you to the eastern part of Greece. Traveling through Thessaloniki and Halkidiki. This journey is gonna be a mix of everything. 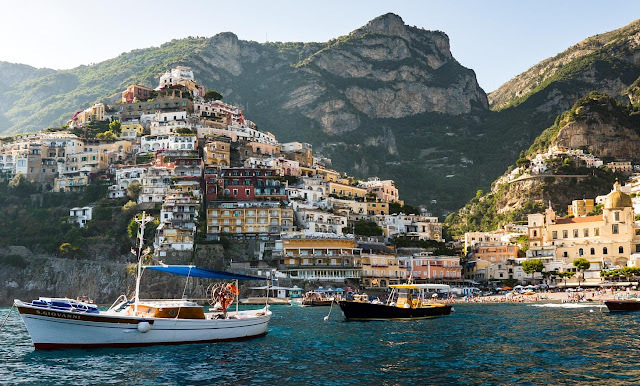 A bit of history, food, night life and beaches. So lets start our trip. Meteora is just magical. Once you visit here, you will even wonder, How can this place be real ??? You can visit the monasteries, try local wine, go for hiking, rock climbing, mountain bking and much more. Check out the detailed itinerary here. 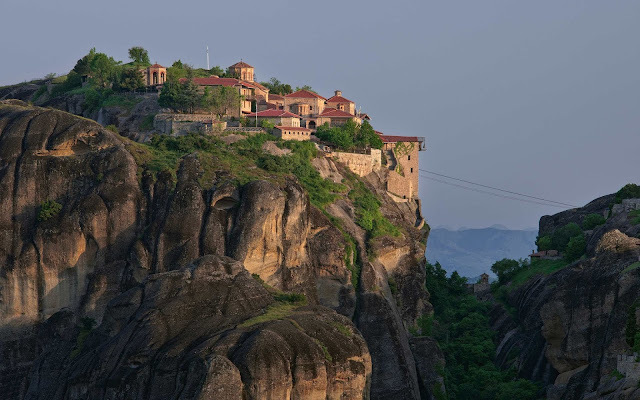 Start from Meteora to Thessaloniki via Egnatia Odos/A2/E90 route. On your journey, you can make your first stop at Vergina, the first capital of Macedonia. It is about 166 kms from Meteora. Grab a lunch at Eleas GI, which is one of the most famous restaurants in entire Greece. Some dishes you can try here are Tangy Pomegranate Chicken, cooked to perfection, smoky cheeses, mouth watering salads and appetizers. You can always find the tempting aroma from the grill. At the heart of Vergina necropolis is the Cemetery of the Tumuli with over 300 grave mounds. The Great Tumulus which is 110 meters in diameter 13 meter high was discovered at the end of 1970s and contains four royal tombs. Thessaloniki is just 75 kms from Vergina. So after spending some time in here, you can continue your journey and reach Thessaloniki. 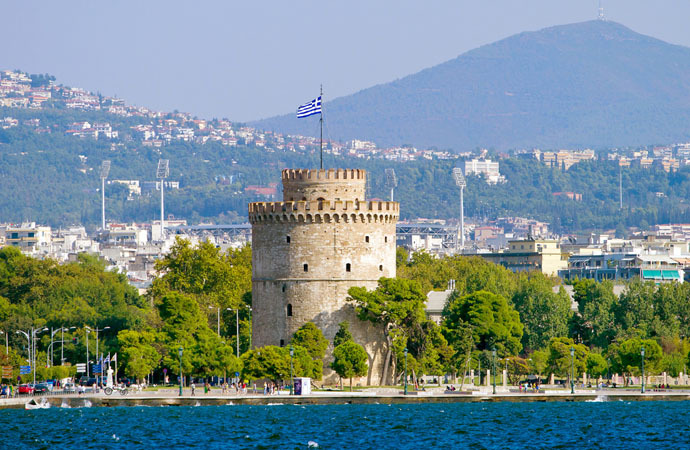 Thessaloniki is a vibrant, full of surprises destination. Located in the heart of Macedonia, it is the second largest city in Greece. Being a unique mosaic of different cultures and civilizations, Thessaloniki offers a wonderful travel experience. The cuisine and food reflect its multicultural history, while the city's intense nightlife will surely surprise you !!! On the first day you can start by enjoying some nightlife and local food. It doesn't really matter if you are a street food lover or if you prefer a traditional tavern or a luxurious restaurant. Thessaloniki is a place for every taste and style. There are countless options, inspired by many food cultures and cuisines. Gyros, mpougatsa, souvlaki, patsas and tsoureki are some of the delicious options and you will find them in every corner of the city. Ladadika - A historic port for marketing oil is now a ultimate venue for dining and entertainment for every visitor. Tsinari - A perfect place to escape the noisy city and relax tasting delicious food and wine in picturesque bars. Athonos Square - Located at the center of the city, it is full of life all day long. Just go there and get lost in the smell and taste of mouth watering delicacies. Next day you can start exploring actual Thessaloniki. Believe me there is a lot to see. 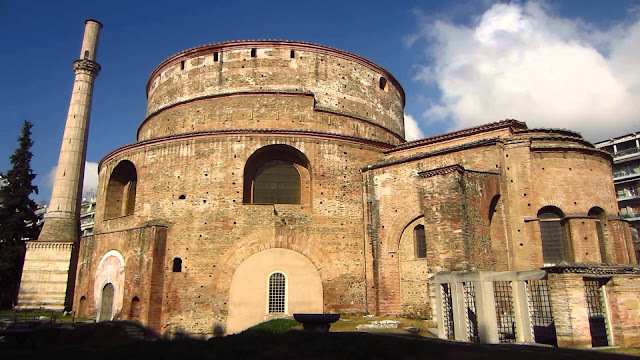 From ancient Roman and Byzantine churches to Turkish baths. Start off by visiting one of the oldest Byzantine Churches, Hagia Sophia (Yes, apart from Istanbul there is one in Greece as well). It is more impressive from inside rather than out, revealing wall to wall decoration in the form of mosaics and paintings dating back as far as the eleventh century. From there, head on to see the oldest and the most magnificent Roman monuments, the Arch of Galerias and the Roman Rotunda. 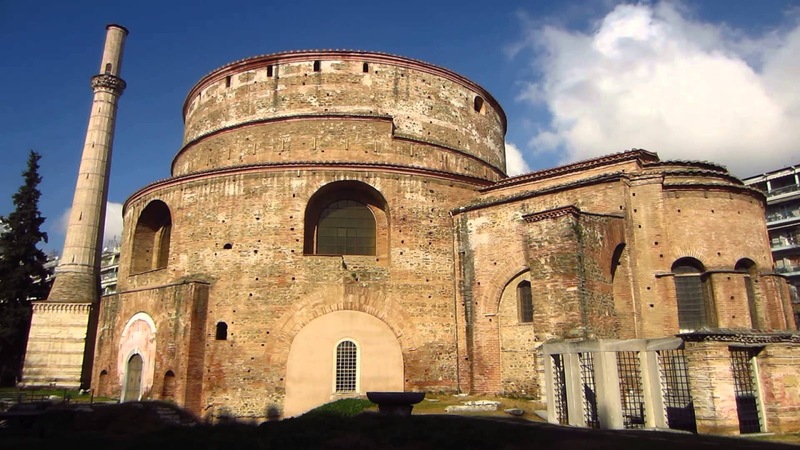 During 10th to 12th century the Rotunda was used as the cathedral of Thessaloniki. Under Ottoman rule the building was converted to a mosque. After liberation from Turks in 1912, the Rotunda was converted again into the Church of Saint George. After soaking in a bit of history, you can grab a lunch at one of the many restaurants nearby. There are several options available like Nea Folia, Seven 2 Seven, Mourga, Igglis. After lunch, the first place you can visit is the White Tower. One of the most well known structures in Thessaloniki. It is just about 1 km walk from the Roman Rotunda. Built by Ottomans, the solid, stocky White Tower still guards the waterfronts as it has done for the last 600 years. The 34m tall tower once also served as a prison where thousands of rebels where slaughtered. At that time it was known as the Red Tower. The tower provides some wonderful views into the Aegean Sea from the top. There is also a museum inside. After visiting some of the major places, you can have the evening for yourself. If you are a history buff, head on to one of the many museums in the city. The Museum of Byzantine Culture and Archaeological Museum are most famous among them. 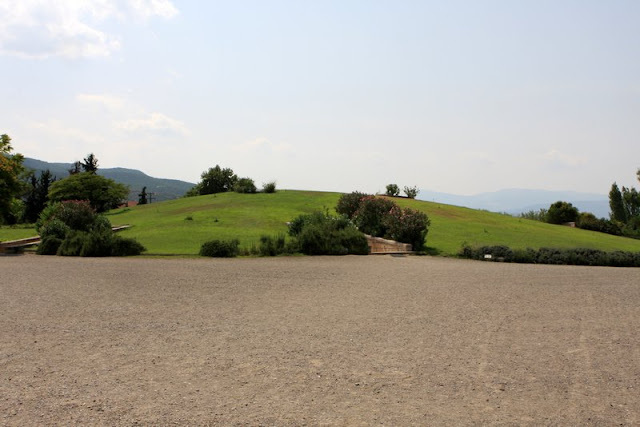 They are located nearby, just about 500 m from each other and provide a great look into ancient Greece. If you like to go shopping, you can visit some of the markets here. Modiano and Kapani markets are amongst the most popular ones. These are located in the middle of the city in the Aristotle Plaza. Between them they purvey the best produce from Thessaloniki: fresh fish from boats, creamy cheeses, olives and piles of herbs and spices. Small taverns and bars line the edges, serving thick coffee and Bougatsa(filo pastry filled with semolina cream). Or if you are like me, who just likes to sit around and enjoy the lively atmosphere of the city then Aristotelous Square and Navarinou Square are perfect places for you. Aristotelous Square is known for boasting some of the most beautiful buildings and sights in Thessaloniki, not to mention the open expanse of Thermaikos Gulf. Pick up one of your frescoes or bars and enjoy the atmosphere or else head up to the roof terrace of Electra Palace Hotel for a coffee with a wonderful view of the city. Navarinou Square on the other hand has a lot of young people, street artists and buskers who just like to hang out at the pedestrianized Navarinou Square. When here, you can go to Elinidis, a no-frill bakery serving city's best trigona panoramatos - cream filled triangles of tooth decaying sweetness. After enjoying your first day exploring Thessaloniki, you can go back to your hotel and take some rest. 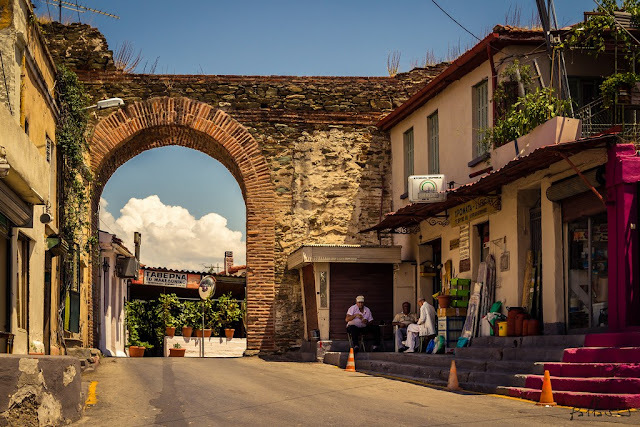 Ano Poli is one of the few places in Thessaloniki which were not destroyed by the great fire of 1917. It is located to the north of Agios Dimitrios and is the highest point of the city. This atmospheric quarter is characterized by steep, winding streets and narrow alleyways. Numerous fountains of Ottoman Era, reveal the Turkish influence. There are a lot of churches in Ano Poli like the Saint Catherine's Church, the Church of Prophet Elijah and the Church of Holy Apostles. Visiting Ano Poli is also a great way to get familiarized with the local taste and enjoy a fascinating view of Thessaloniki from above. After lunch set out for your next destination, Halkidki. Halkidiki is actually a collection of many small towns and villages in the north-eastern part of Greece. These towns are quite far from each other. So do a bit of research first on which town you would like to visit. In this journey of road trip though Greece, we have mostly visited the historic landmarks, so I decided to go to Kassandra. It is the westernmost peninsula of Halkidiki and is known for its well preserved natural beauty, exotic beaches, engaging night life and endless entertainment opportunities. 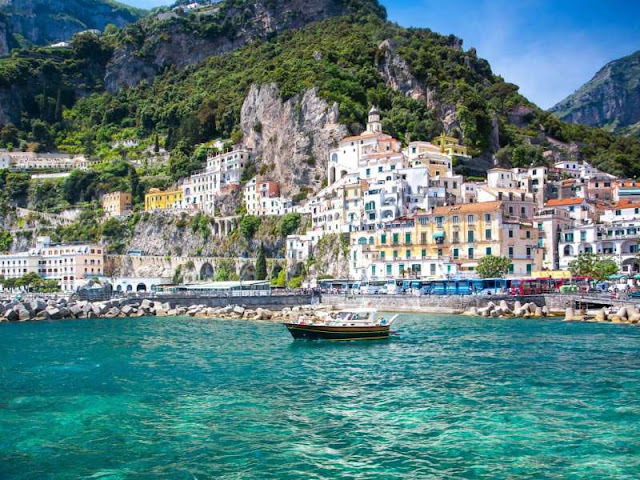 After reaching Kassandra, you can spend the day by wandering around the town enjoying some beautiful sea views. The most important thing that I like to enjoy in a new place is its local food. So spending some time roaming around the town, you can check out for some good place for dinner. One of the most delicious meals you can enjoy in Kassandra is the Greek Moussaka. It consists of potato, ground beef or lamb meat and some other ingredients. It is one of the most famous dishes in Greece, so don't miss it while you are here. Another thing you can try is grilled octopus. Its soft, juicy and low fat and ideal for dinner. Although its taste may somewhat remind you of chicken, it actually tastes far more sophisticated that it. Kassandra is also famous for its ice cream which tastes like actual fruit. Kassandra has a lot of offer when it comes to adventure sports. You can go snorkeling, scuba diving, enjoying water sports etc. You can also go on jeep safari or a adventurous classic VW van vehicle and explore the city. But the 2 best things to enjoy in Kassandra are scuba diving and going for a cruise on sailing boat. Kassandra is a perfect spot for scuba diving. With its crystal clear water, a variety of marine life, absence of dangerous species and easy access to multitude dive sites makes Kassandra a perfect place for beginner and experienced divers. Check out more details here. Kassandra is a kind of place where you cannot go with a planned itinerary. Just go there and enjoy whatever you feel like doing. That brings us to the end of our journey of Amazing Road Trips Through Greece. Hope you liked it. Share it with your friends with whom you would like to visit this part of Greece.